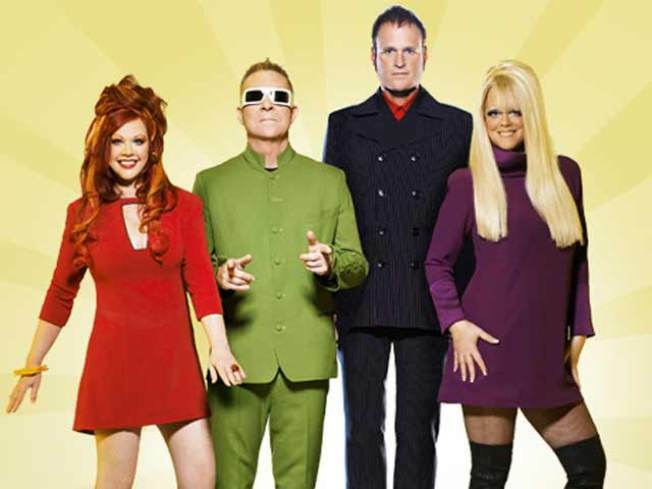 ROAMING: Don’t say we didn’t warn you about the B-52s’ Governors Island Beach Party. If you’re not on the scene tonight sipping frozen drinks and waggling your sailor shorts to “Rock Lobster,” we can’t help you. 8PM (doors 5PM). ICON: Hugh Romney -- Beat Generation poet, peace activist, clown-nose wearer, pal of Bob Dylan, and founder of the California’s Hog Farm commune – is best known for changing his name to Wavy Gravy and MCing the Woodstock Festival. “Saint Misbehavin’: The Wavy Gravy Movie” documents his oversized life. IFC, 7:35PM. TWOFER: Kurt Andersen will read from his oddly optimistic book Reset: How This Crisis Can Restore Our Values and Renew America, and singer-songwriter Regina Spektor will play ditties from her latest album, “Far.” Both will be wildly literary, just like we like ’em. Upstairs at the Square, Barnes & Noble Union Square, 7PM.